Bogeys Family Fun Center is the perfect place for the entire family to spend a fun and relaxing day. There are both indoor and outdoor attractions for all ages to enjoy. 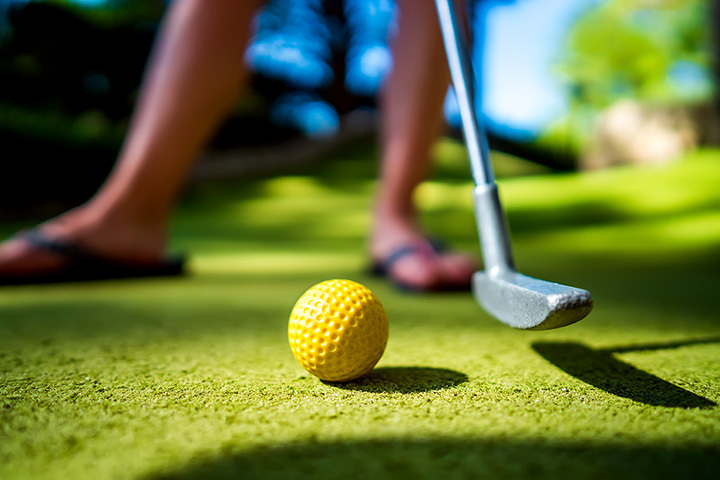 Bogey's features a first class Miniature Golf Course, Go-Kart Tracks and Adult Go-Kart tracks, Batting Cages, Children's Playland, a huge Arcade,Tilt-a-Whirl and Bulgy the Whale rides, and much, much more. Bogey's Family Fun Center is also a great place for events and Birthday Parites!